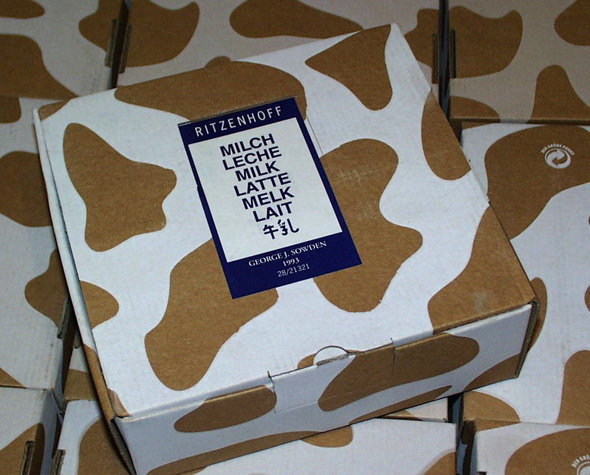 Loving some of these Ritzenhoff milk glasses on eBay. 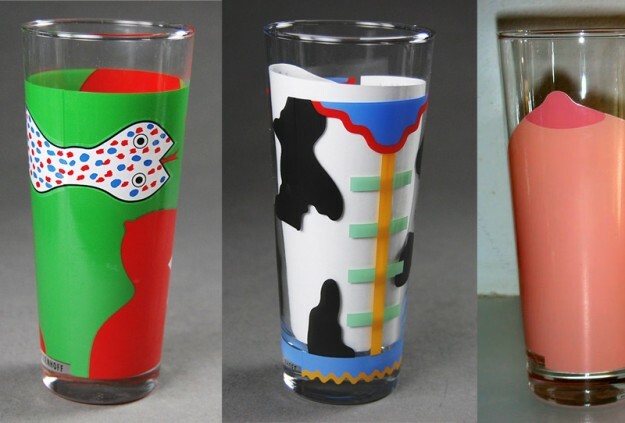 Essentially the Swatch watch concept applied to milk glasses (there’s a lot less hits than misses, though).starting in 1992 Ritzenhoff started commissioning artists and designers to design a milk glass – and they’re still making new ones. 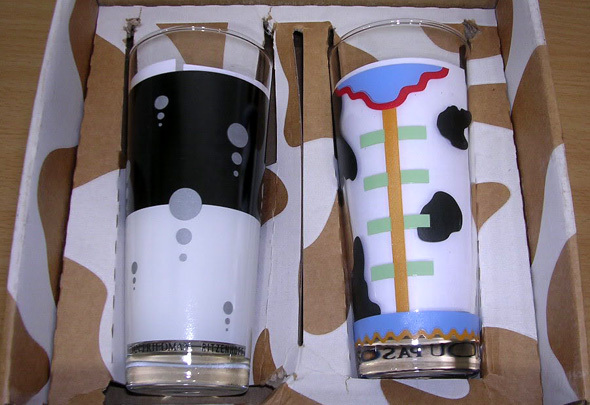 Also, I think its great to have a dedicated glass for milk. Your milk deserves to be as good as your beer! As you can tell by our new “Bacterio” background pattern, I’m on kind of a Memphis kick lately. More eBay finds sure to come.